England spinner Graeme Swann wants England to maintain their winning ways by beating Australia in the upcoming two T20 matches, followed by seven One Day Internationals. Both sides will be looking to fine-tune their preparations for the forthcoming World Cup which starts in February. England pulled off an historic win by retaining the Ashes, winning the series in Australia. The first time this has been achieved for twenty four years, the spinner wants to make put the icing on the cake with a winter to remember by winning the T20 and ODI matches. 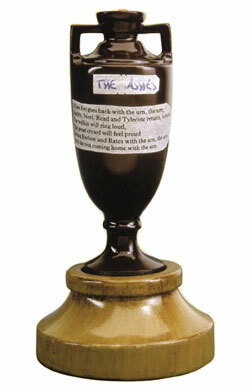 “It’s nice to win the Ashes, I won’t lie to you,” said Swann. “It’s been a great tour for us so far and the worst thing for us would be if we stuttered and stopped at the end of the tour. He added: “It’s important that we show the good one-day form we’ve shown recently because we want to be number one in all forms. “Let’s face it we were (ranked) number seven or eight not so long ago and we were garbage. “We’ve had some very good series results recently. We beat the Australians at home last year and we won the Twenty20 in Barbados to win that World Cup. 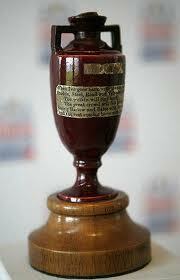 Say, did you know that the Australian’s had lost the Ashes? Well, just to thank them, we thought we would give you the top twenty Ashes jokes currently doing the rounds on a mobile phone near you! What do you call an Australian with a champagne bottle in his hand? Snow White returned to the cottage to find it had burned down. Distraught, she searches for the dwarfs in the forest and hears a lone voice chanting: “The aussies are going to win the ashes, the aussies are going to win the ashes” On hearing this, Snow White gave a little sigh of relief as she knew that at least Dopey was safe! What’s the difference between Ricky Ponting and a Phoenix? At the end of The Ashes, the Phoenix still has a future. What do you call an Australian who is good with a bat? Mitchell Johnson – two minutes after going out to bat..
What do you call an Australian with 100 runs against his name? I had to borrow a cup of sugar the other day. I asked Shane Watson – but he had run out. What’s the difference between Ricky Ponting and a funeral director? A funeral director doesn’t keep losing the ashes. What is the main function of the Australia coach? What’s the Australian version of LBW? What’s the height of optimism? Why don’t Aussie fielders need pre-tour travel injections? Why is Ricky Ponting cleverer than Houdini? Because he can get out without even trying. ‘Is it possible to speak to Mr Ponting please? Who spends the most time on the crease of anyone in the Australian team? The woman who ironed the cricket whites. England Team Director Andy Flower has said that England Captain Andrew Strauss was instrumental in leading the team that retained the Ashes in Australia and rounded off nicely with a series win, beating Australia in the Fifth test by an innings and 83 runs. The England camp celebrated after succeeding in a first series win in Australian for some 24 final Test at the SCG on Friday. “I’d rather talk about the cricket, but the celebrations were good, and well deserved by the players,” Flower said. “We had a good time and I think the guys are reflecting on a job well done and a job that they are very proud of. “All sorts of things go into what makes successful sides and Strauss’ leadership is very influential factor in that success. 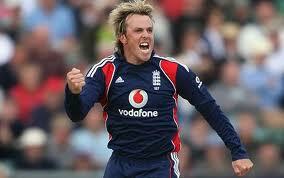 “He is very strong in the dressing room and in the middle with bat or marshalling the troops. Speaking on Alastair Cook, Flower said; “He’s overcome most challenges that have been put in front of him, which is testament to that strength of character and, considering that people were calling for his head not so long ago, it is an outstanding riposte. “Although that’s not why he did it, it was because of the pride he has in his own performance and because he is very proud to play for England. Legendary Australian fast bowler Brett Lee has thrown his full support behind Ricky Ponting and his team as they head into the third test match against England in Perth. Australia who drew the first test in Brisbane and lost the second test in Adelaide will be looking to bounce back knowing a loss will give England the series win, retaining the Ashes in Australia for the first time since 1986 when Mike Gatting captained the team. 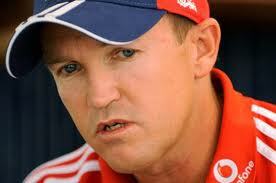 Brett Lee insists all the pressure is all on England and this could help Australia when play starts on Thursday. “I think the good thing Australia has got now is that the only way for us is up,” said the fast bowler. 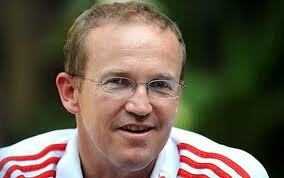 “The way that England have been playing, I think the pressure is now on them. Australia has been recalled to the team by the selectors and he feels the seamer could be the key to breaking through England’s batsmen. “I caught up with Mitch in Adelaide and he was in a great frame of mind,” he added. “It’s almost like when you know you’re on the verge of being dropped that when you’re actually dropped there’s a sigh of relief almost because you can go away and try and work on your game and work out how you can get back in [the team]. Nathan Hauritz has signalled his frustration at being frozen out by Australia by giving away his Test kit. Hauritz, 29, who has played 17 Tests and taken 63 wickets, was shocked when novice left-arm spinner Xavier Doherty was brought in ahead of Hauritz for the first two Ashes Tests and uncapped Michael Beer for the third. Even Xavier Doherty, who was dumped after taking just 1-158 in the innings defeat at Adelaide, has admitted that there seems to be some confusion over what selectors want from spin bowlers. ”You have seen how many spinners they have used over the last couple of years, so I’m sure the selectors aren’t quite sure who the next person is,” the 27-year-old said upon learning of his axing on Friday.